My layout uses a mixture of Motorla (Märklin) protocol and DCC protocol. In general I want the freedom to connect arbitrary equipment and run arbitrary engines, which has governed my choice of technologies. I run all this using an old Pentium Pro 200MHZ running Windows 2000 which has been augmented to have four serial ports. Model railroading requires a lot of serial ports. I new from the start I wanted computer control. It's much easier clicking on a visual representation of the layout than to remember what various switches do. While one can build switchboards like the ones real railroads used to use, those cannot be reconfigured. Railroad & Co is not only easy to use but incredibly powerful. It lets you combine multiple digital systems, control both trains and accessories, as well as run extremely complex schedules, monitoring everything from start and stop times to fuel consumption. It has excellent support via a newsgroup on the web ( http://groups.yahoo.com/group/railroadandco/ ). 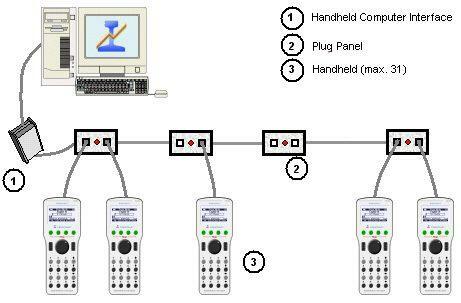 I use two digital systems with Railroad & Co, one the Intellibox, the other the HandHeld from OakTreeSystems. Click here to see how my layout looks in Railroad&Co ! There comes a time when one gets tired of the limitations of Märklin decoders. While they work very reliably they are limited to 14 speed steps, they cannot be reprogrammed in software, and if they have sound capabilities, those cannot be changed in any way. An interesting alternatives are the LokSound XL decoders. These are DCC decoders with 128 speed steps, a dozen programmable functions, and built in sound. They are entirely software programmable, including allowing one to change the sounds. The only drawback with the current generation is that one typically needs to add a capacitor to prevent them from losing their mind when encountering an interruption in the current, as well as their still being limited to 8 bit sound. However, these faults are supposed to be corrected in the next generation of devices. In general there is plenty of room for the decoder and the speaker in most Gauge I locomotives. For some small locomotives you may want to use the regular LokSound decoder which is normally used for HO Gauge. Here's what the decoder looks like: lights, motor and current on the left, functions on the right. 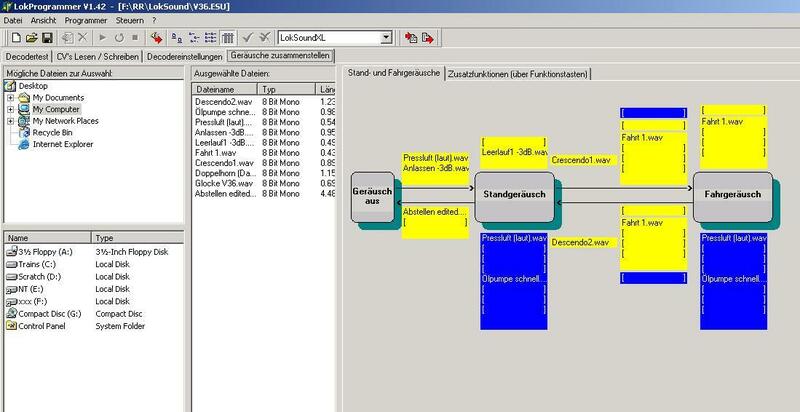 The software lets you edit all aspects of the operation of the decoder, especially including the sounds and their sequencing. 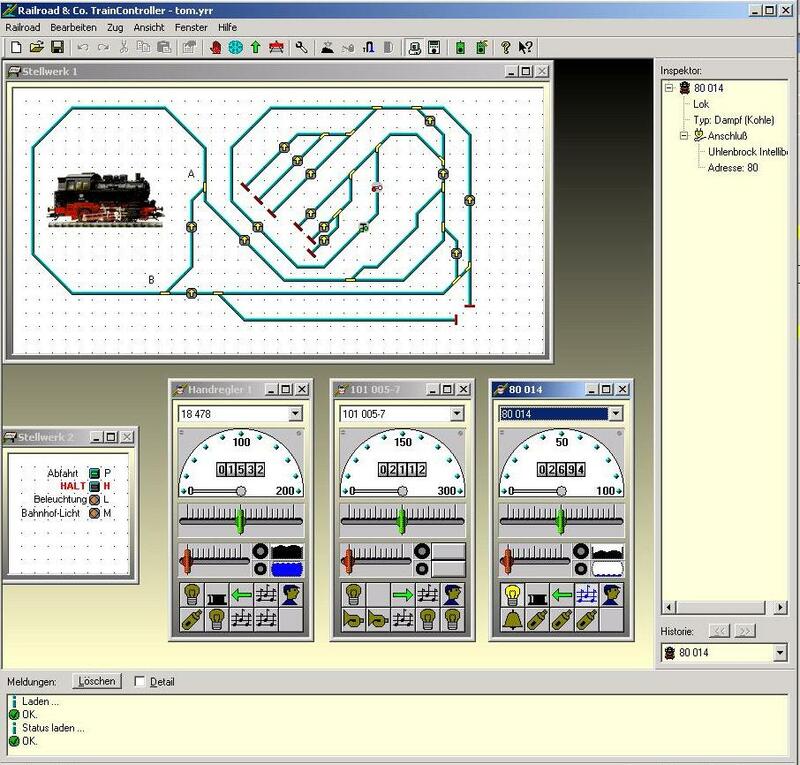 Click here to see what the LokProgrammer software looks like editing the sounds for a diesel engine.